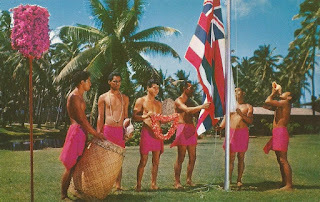 Hawaiian Flag Raising Ceremony in the ancient royal tradition. 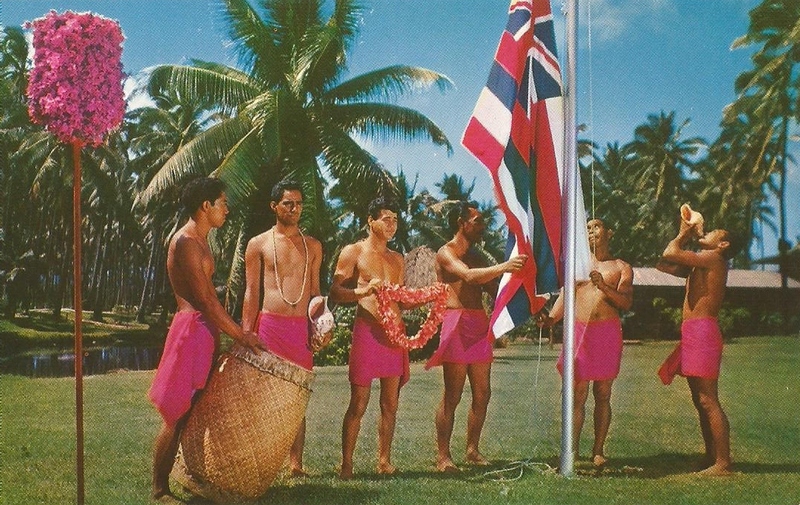 A colorful daily event at this beautiful and unique Hawaiian hotel. 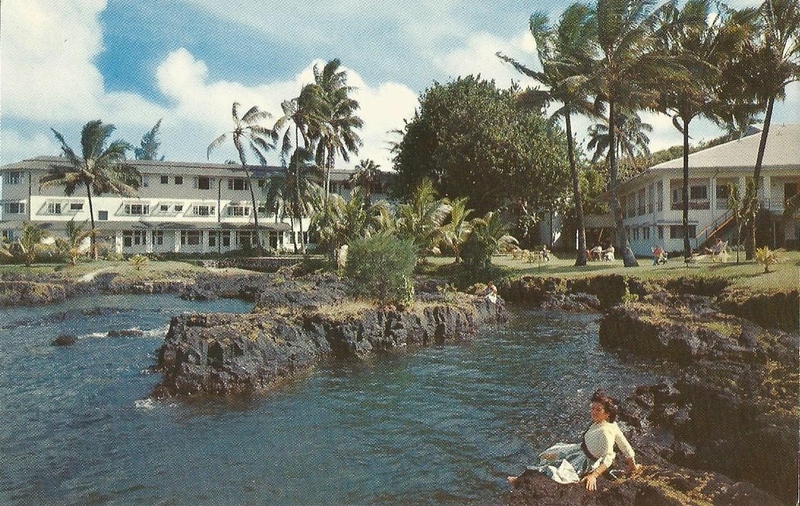 Naniloa Hotel, Hilo, Island of Hawaii...fronting on beautiful Hilo Bay and looking toward the mountain, Mauna Kea, the Naniloa offers an atmosphere of tropical seclusion.